Movies are all time favorite of people. Youngsters, kids and elderly people all love movies. There are so many latest Hollywood movies. Also, some of the latest Bollywood movies are worth watching. These are meant for them to watch. Today we are going to talk about those movies which can inspire entrepreneurs. These are the best Hollywood movies. The Pursuit of Happyness: This inspirational movie was released in the year 2000. A motivational and one of the best English movies, it will surely inspire you. Will Smith portrays Chris Gardener in an appreciable way. In this movie, Chris Gardener loses everything including his house, money, and wife but still, he chooses to work hard and smart. The Social Network: This is one of the best movies of all time. The movie is about Mark Zuckerberg and how he made Facebook? Facebook is his startup. Mark Zuckerberg was a student at Harvard University. When you watch the movie you will become aware of how to uplift your startup despite all the odds. Pirates of Silicon Valley: Pirates of Silicon Valley is the depiction of Bill Gates’ and Steve Jobs’ beginnings. This movie shows how both of them worked to establish their company. You will find their competition, experiments, and achievements. The moral that you will get from this movie is to believe in your dreams. When you have a dream, then you must chase it, no matter what comes in the way. Even if someone copies your ideas then don’t get upset. All that matters are in what way you are executing it. Boiler Room: When we start a business, it is very obvious that we will face some dilemmas and issues. The movie depicts the story of Seth Davis, a 19 year old college drop-out who rises to become one of the top brokers. The movie is all about Seth facing the problem of greed for money amidst the moral and legacy. Rocky: The movie stars Sylvester Stallone and is written by the same. Everyone must watch this movie. It is a small fry story of Rocky Balboa. He goes into the heavyweight Apollo Creed boxing championship. Through this movie, you will learn when people say you can’t do anything or a particular thing then you need to keep going. One day success will be in your hand. Flash of Genius: Being an entrepreneur you must understand it is very essential to shield your plans. A windshield wiper invented by Robert Kearns, a university lecturer, is welcomed by the entire giants of an automobile of the 1960s. This becomes one of the important components of cars. But to utter dismay, Kearns never gets the credit. Though he fights for this, then there is an important lesson for every entrepreneur. Badmash Company: Released in the year 2010, the Bollywood movie is a comedy and crime movie that revolves around four college friends. These college friends start their business in an illegal way. They smuggle foreign goods and find their niche in the market. 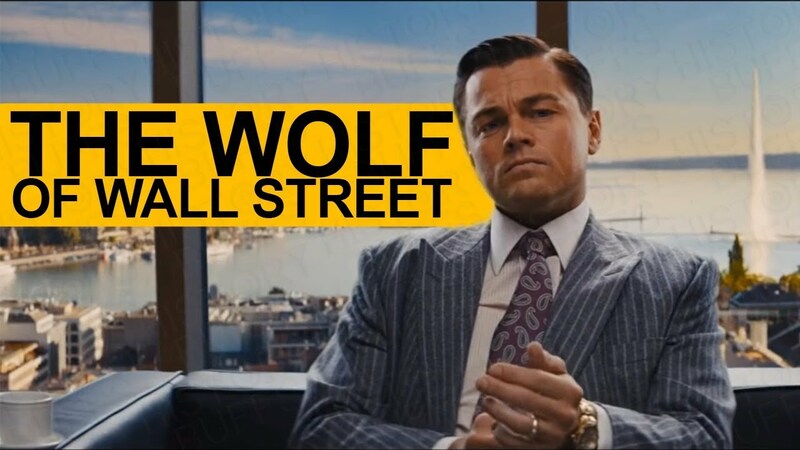 The Wolf of Wall Street: The movie was released in the year 2013. It is an inspirational movie that teaches you about the fortune, fame, greed and the respect for the law. The movie also teaches you how to retain your success. The Godfather: Released in the year 1972, the movie is a very strong competitor in the genre of must watch movie for an entrepreneur. The movie shows how a father-son duo grows their small family business into New York’s biggest crime family. The movie will show you what does it takes to reach on the top. The commitment: The film depicts how a group of people have a vision and come together to do something great of which they never thought. Limitless: the movie is all about a struggling writer who is unemployed and is rejected by his girlfriend. One day his friend gives him a pill which makes him use the capability of his brain till 100%. He rises high but very soon he is at the same place from where he started. The movie says shortcut is not good at every part of life. The Wall Street: Released in 1987, it is also one of the best movies for entrepreneurs. The movie revolves around the story of Bud Fox who will do anything to reach the top. He believes “Greed is good”. One day he is approached for help but that should not be illegal. Rather it should be moral. You will find how one sells them for the sake of money. It is one of the top Hollywood movies. Office Space: The movie was released in the year 1999. The movie is meant for those who hate their 9to5 job and are eager to jump into their own startup. The movie revolves around a man who hates sitting on his desk and is pissed off when his boss assigns some task to him. Joy: This movie is a must watch for those entrepreneurs who want to start their business. But their family and friends are supporting and encouraging at all. It is all about starting a business from scratch. The Aviator: the movie is all about Howard Hughes. The movie shows the struggles of Hughes, both personal and business. But he negated hem to be one of the enigmatic entrepreneurs of time. So, this was all in this post. These were some of the must watch movies. Hope you watch them and get inspired.